The refrigerator from kelvinator comes with a removable anti-bacterial gasket, anti-fungal removable door gasket, an advanced cooling system, toughened glass shelves, medicine and utility box, opaque interior, vegetable box and much more that are sure to meet all your needs. This refrigerator has a sleek and contemporary design, which makes it a worthy addition to your home as well. 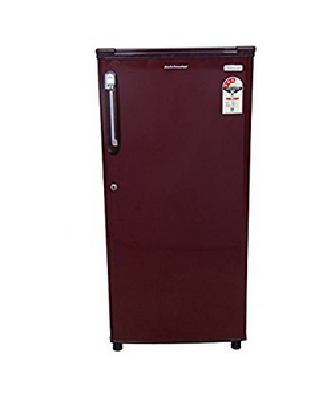 Special Features The capacity of this Kelvinator refrigerator is 190 litres. Thus, you can store a large quantity of food items, be it cooked or raw along with containers, bottles, vegetables and more without over-stuffing the fridge.